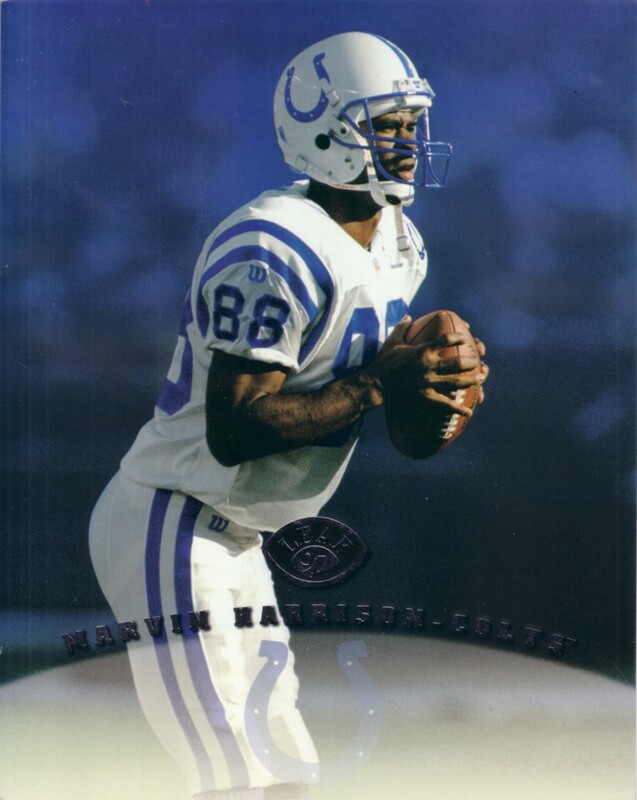 1997 Leaf 8x10 photo card of former Indianapolis Colts Pro Bowl receiver Marvin Harrison. Has minor corner wear. 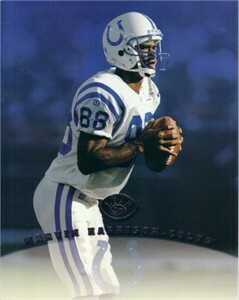 NOT AUTOGRAPHED. ONLY ONE AVAILABLE FOR SALE.